There’s no question. People are talking about your organisation. And if by chance they’re not, then they’re talking about your competitors and starting a conversation you’ll have trouble being a part of. Don’t let your organisation get left behind. Amazon founder, Jeff Bezos once described your brand as, “what people say about you when you’re not in the room.” Today, not only do you have an opportunity to be in the room but to take an active role in the conversation itself. Good search practices start with monitoring for mentions – the good, the bad and the ugly – of your organisation, but can also focus on topics related to your business where you may wish to become an influencer. 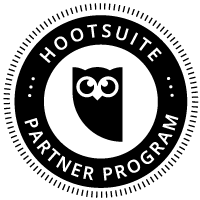 At HootSuite we monitor for off- as well on-brand messages in order to assist users who may not spell HootSuite correctly 100 percent of the time. Undoubtedly Hilton adjusts its search parameters to exclude mentions of either Paris or Perez. With social, it is also possible to monitor certain users or organisations closely without them knowing you’re listening. Gather your feedback. There are some interesting disconnects between consumers’ and businesses’ perceptions on why people engage with organisations via social media. 73 percent of businesses feel consumers want to learn about new products while only 51 percent of consumers give that as a reason. 61 percent of businesses think consumers want to be part of a community. Only 22 percent of consumers support that thought while 61 and 55 percent of consumers want discounts and to purchase something respectively. Better monitoring, listening and analysis of conversation and feedback could lead to programs across departments from advertising to customer service, HR or sales to close these gaps and build more empathetic, customer-centric relationships.